Considering a career in the health sciences? There are plenty of choices. Health science encompasses a broad range of occupations and specializations responsible for 9% of jobs in the US economy. The need for skilled professionals in these areas is booming, with projected job growth of almost 20% by 2024. In this integrative, multidisciplinary program, you’ll start by exploring the basic sciences that relate to health and wellness. Then you’ll delve into nutrition, exercise science, psychology, sociology, public health and economics, and discover their importance to healthcare delivery. Collaborate with other students as you would on a health and wellness team in the field, to improve individual and community outcomes. Gain problem-solving and technological skills to adapt to the changing marketplace and learn how to communicate across diverse populations with empathy and respect. Finally, you’ll synthesize the results of inquiry and research to propose solutions to problems in health and wellness areas that interest you. You’ll have the opportunity to perform health research and epidemiology through internship opportunities that range from local community health agencies to national and international organizations. This flexible program satisfies requirements for a wide variety of pre-health professions. Upon graduation, you’ll be prepared to pursue entry-level positions in areas such as health science and health research. Or choose to pursue graduate study in physician assistant studies, physical therapy, occupational therapy, public health, counseling, healthcare management and health informatics. You can apply to JWU’s Master of Science in Physician Assistant Studies or Occupational Therapy Doctorate (OTD) program as a student in JWU’s Health Science or Biology bachelor’s degree program. 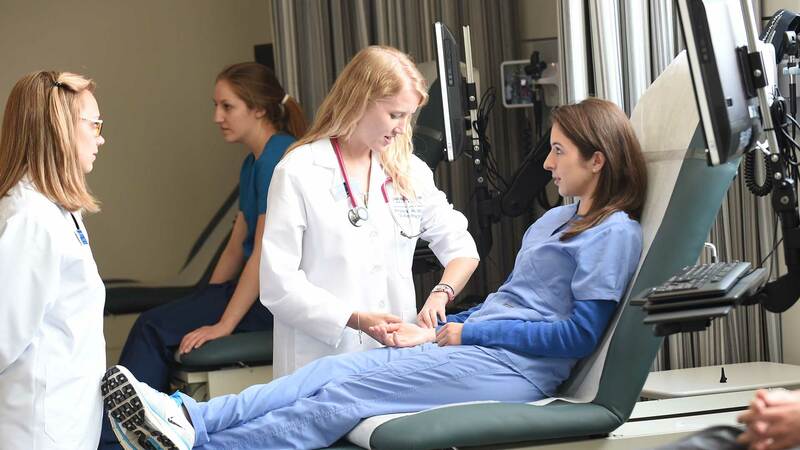 If you meet academic and experiential eligibility requirements, you'll move past most of the competition with a guaranteed interview by Physician Assistant admissions staff as part of our Competitive Pathway Program for select undergraduate programs. Thinking medical school? You can fulfill pre-med requirements by expanding your JWU electives with courses such as human anatomy, physiology and immunology.